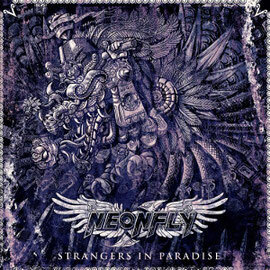 Young Melodic metallers NEONFL from the UK will release their second studio album "Strangers In Paradise" through Inner Wound Recordings on November 28th in Europe and December 2nd in North America. 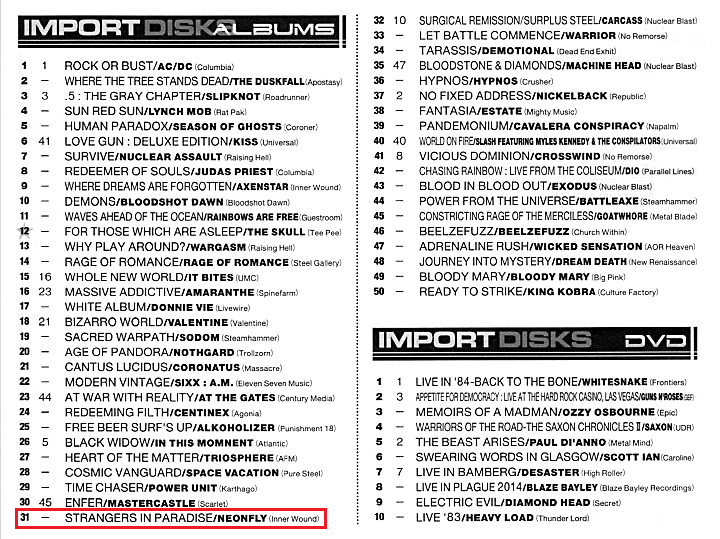 This album was produced, mixed and mastered by Dennis Ward (Pink Cream 69, Unisonic, Angra, Primal Fear, Krokus). They addressed Issues such as invasion, addiction, social injustice, political corruption, the end of innocence and emotional loss, and you can see they have been also developped enough the lyrics on the album. The album artwork, inspired by Aztec / Mesoamerican culture, is courtesy of up and coming US artist Jorge ‘Qetza’ Garza. 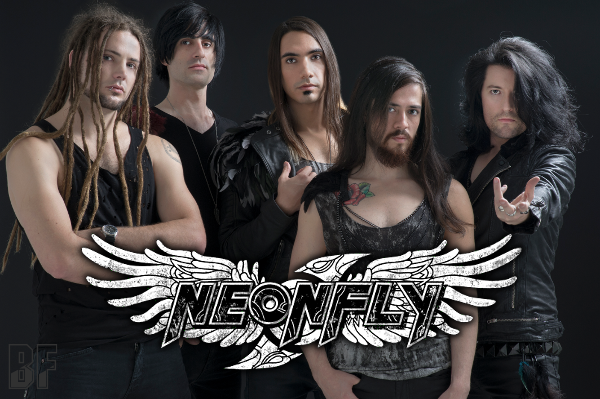 NEONFLY debut album "Outshine The Sun" was released in 2011 and earned a critical acclaim. 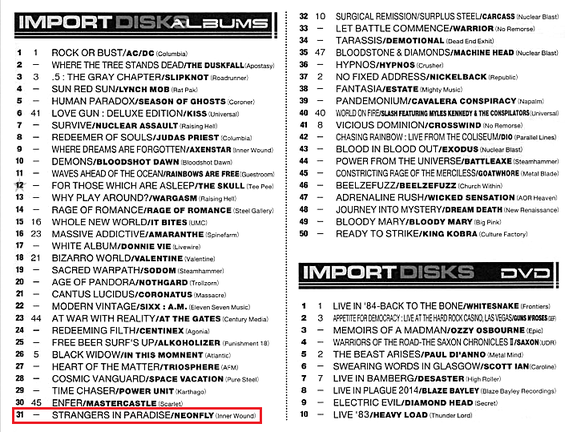 Since then they have supported acts like Alice Cooper, Magnum, H.E.A.T, Sonata Arctica, Freedom Call, Pagan’s Mind, Dragonforce and others. They also appeared at festivals such as Masters Of Rock (Czech), Galapagai Roko Naktys Festival (Lithuania) and Download Festival (UK).